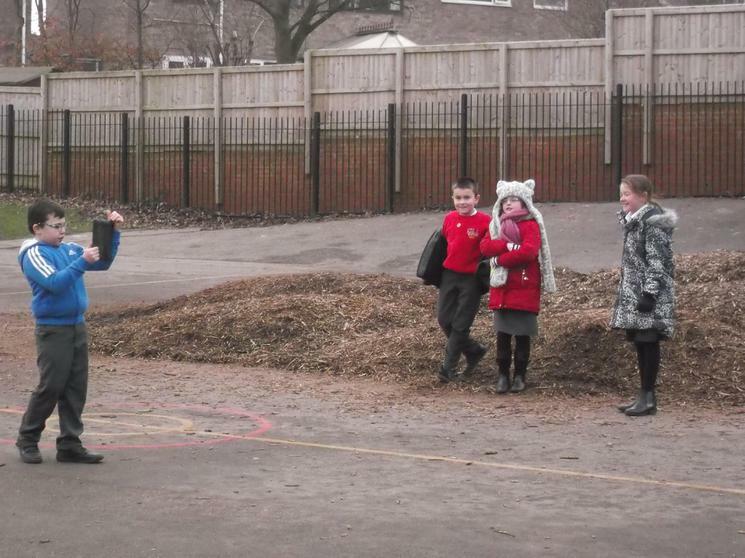 Today, Year 4 had a circle time on being kind. 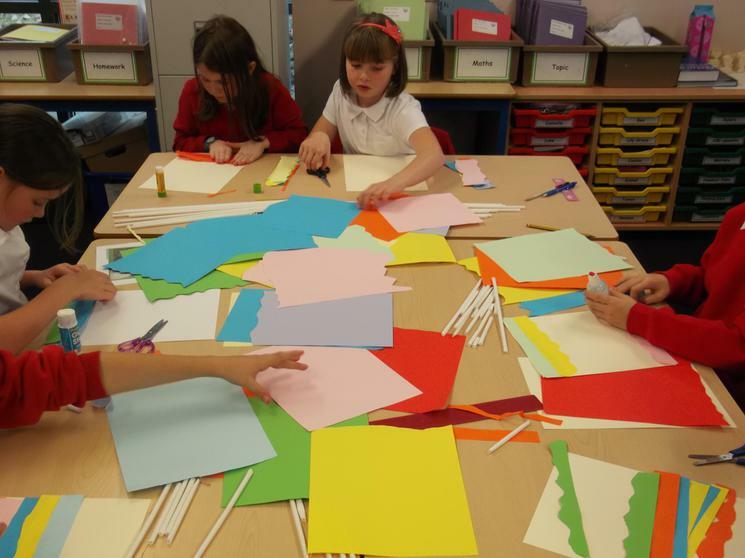 This worked really well, with everyone saying kind things about other people in the class. 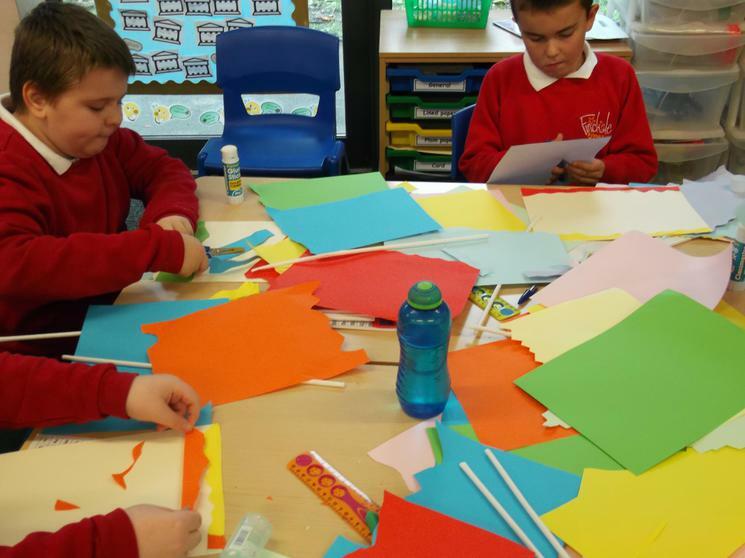 By the end of this session, everyone had written something nice about at least one other person and everyone had received something nice about themselves. 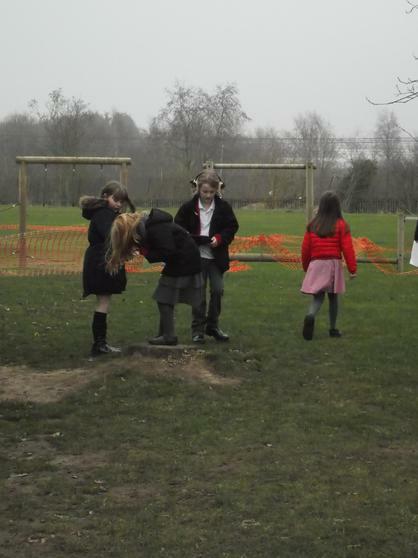 From this we have made a kindness tree. 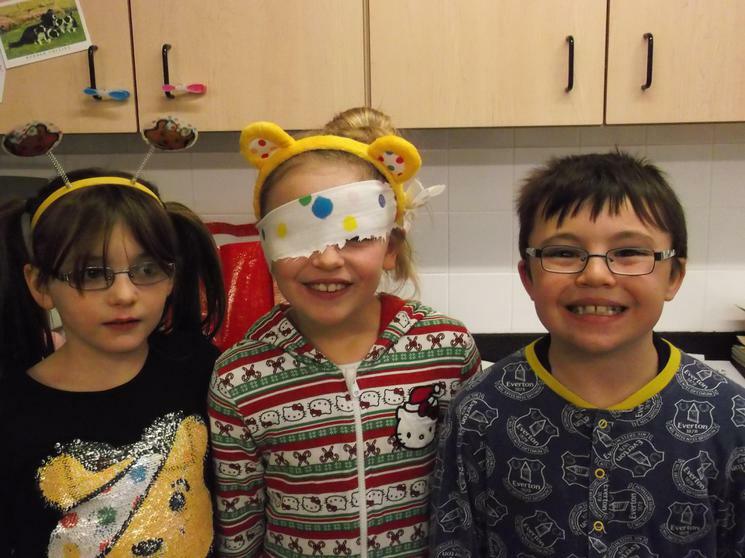 This half term, our Science topic is Electricity. 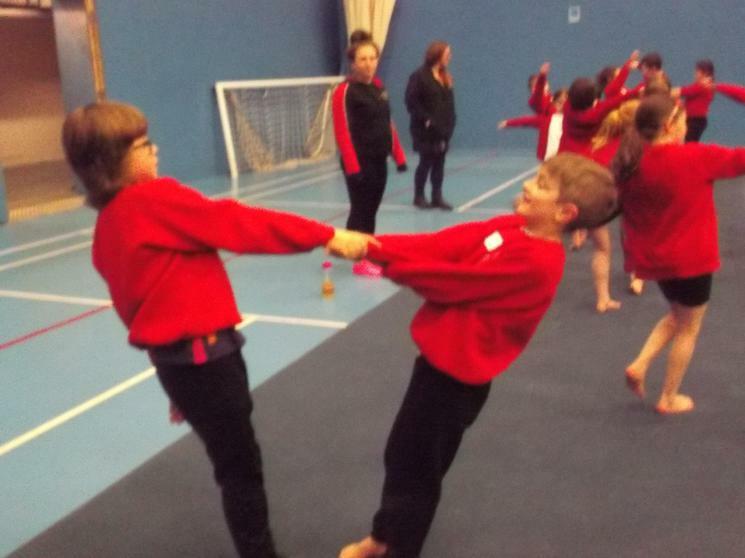 For our first lesson, we covered what an atom is and how an electric current is formed. 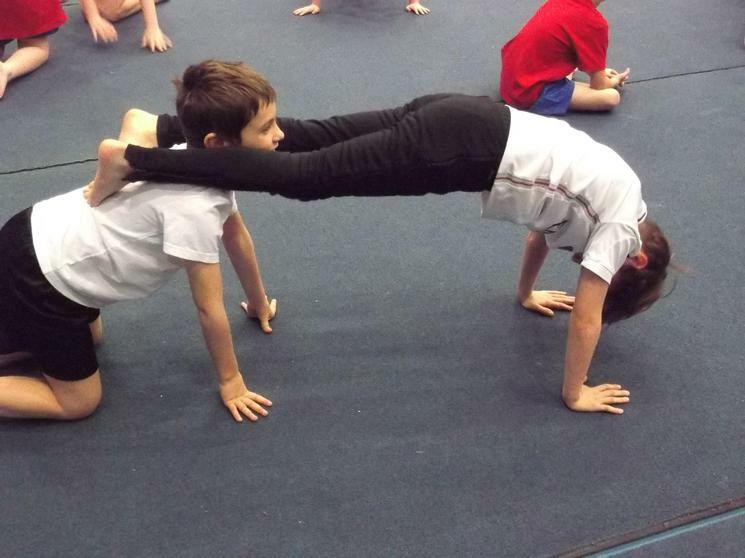 To do this, we pretended to be parts of an atom. 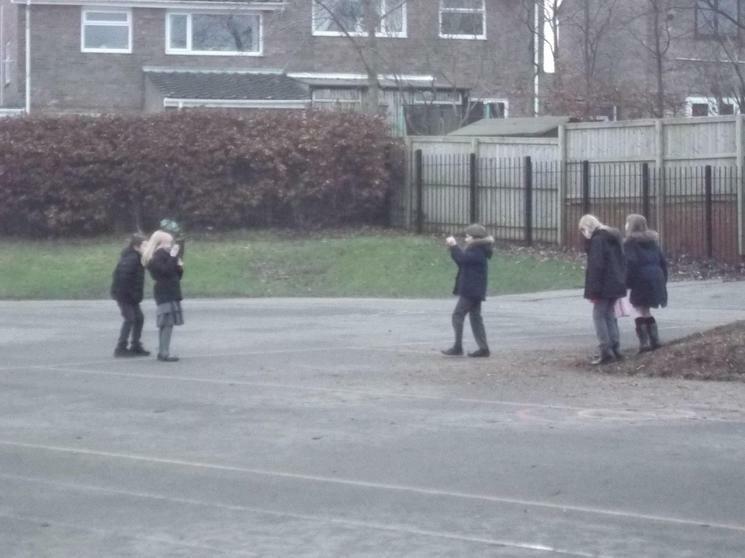 We then moved around pretending to be either an electron, neutron or proton. 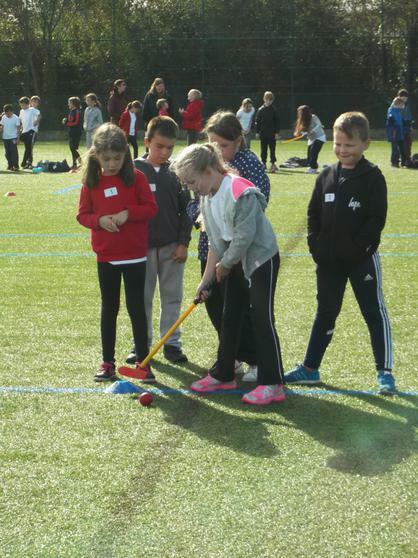 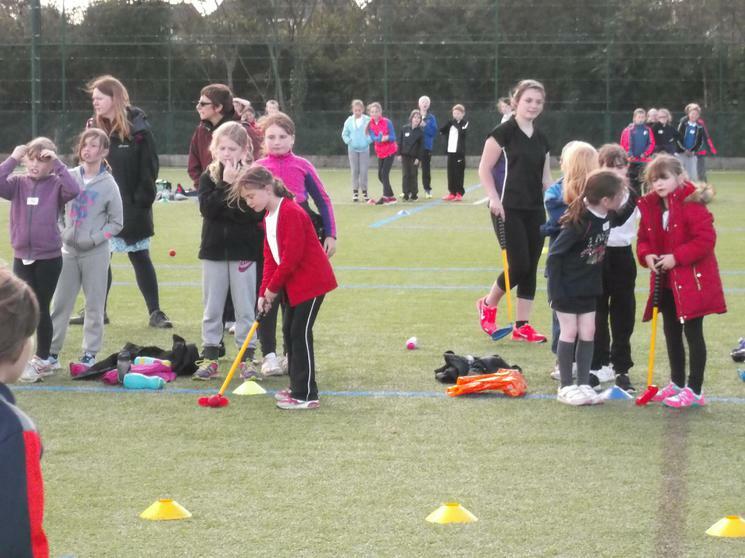 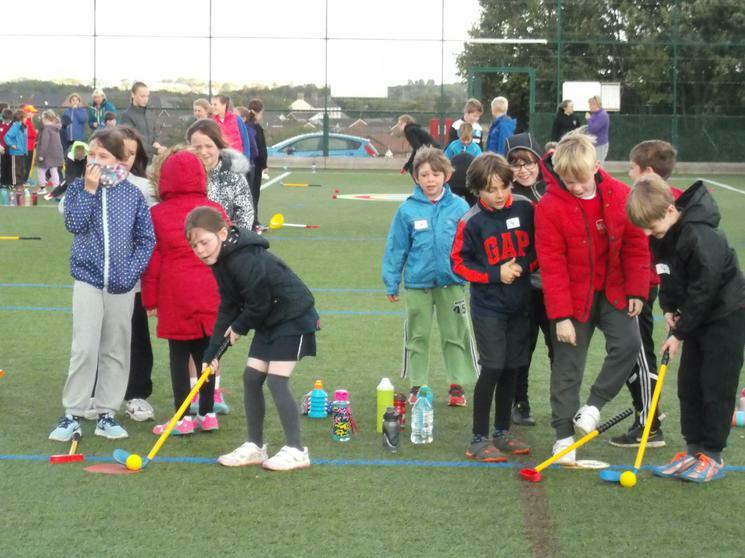 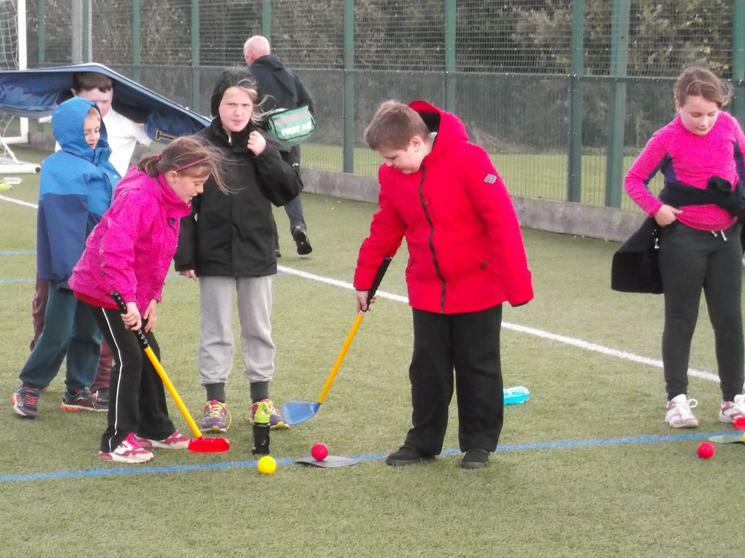 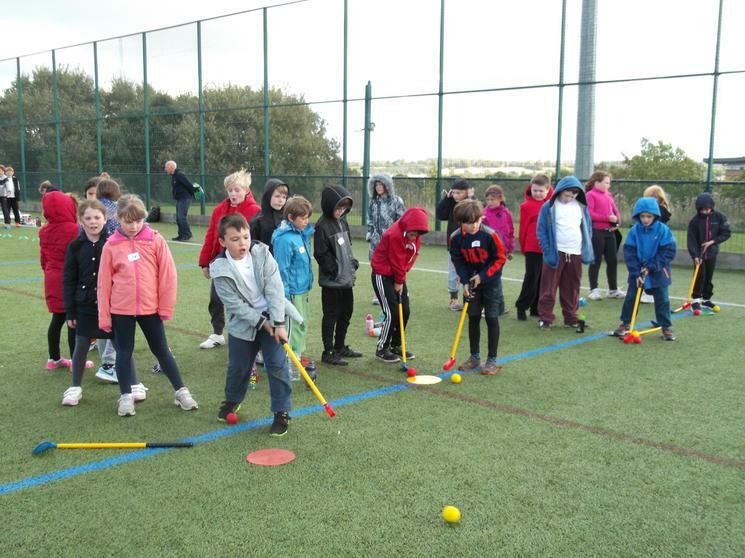 Today, 8 of our Year 4 pupils attended the finals of a County Football Tournament. 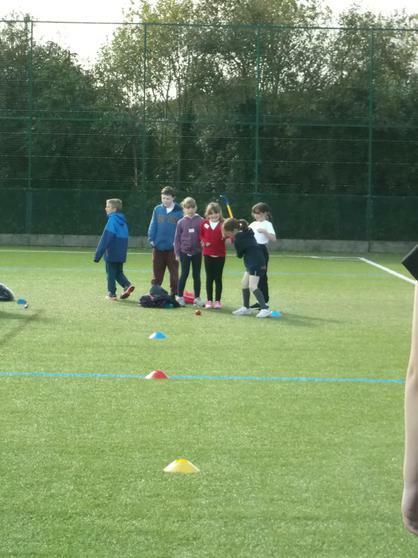 Even though we didn't win, they played really well. 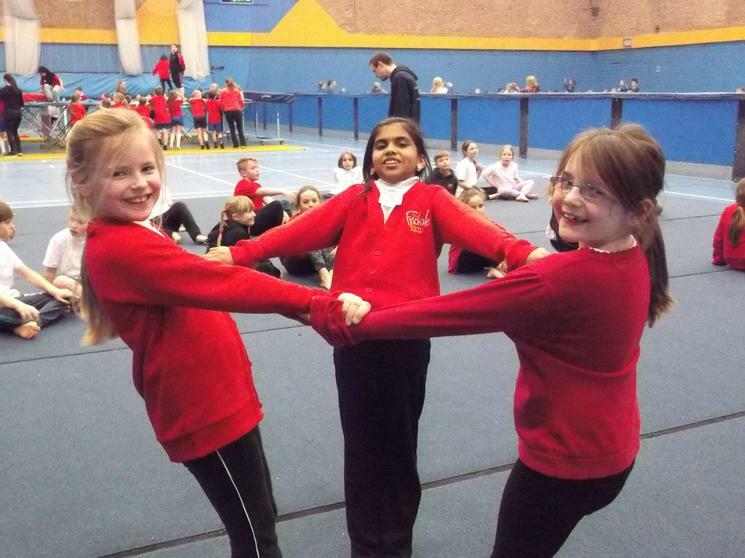 Throughout the Spring term, we have had a dance teacher teaching us for one of our PE lessons. 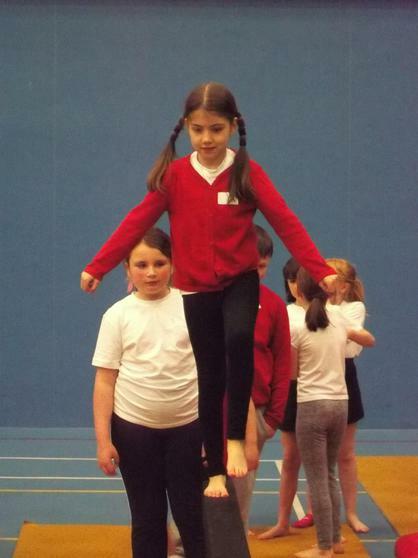 She helped Year 4 to create a dance that represented the Romans. 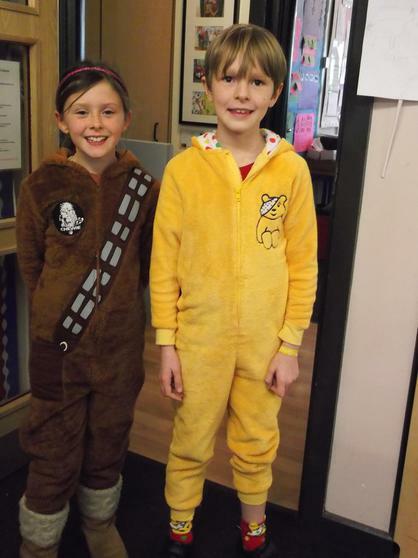 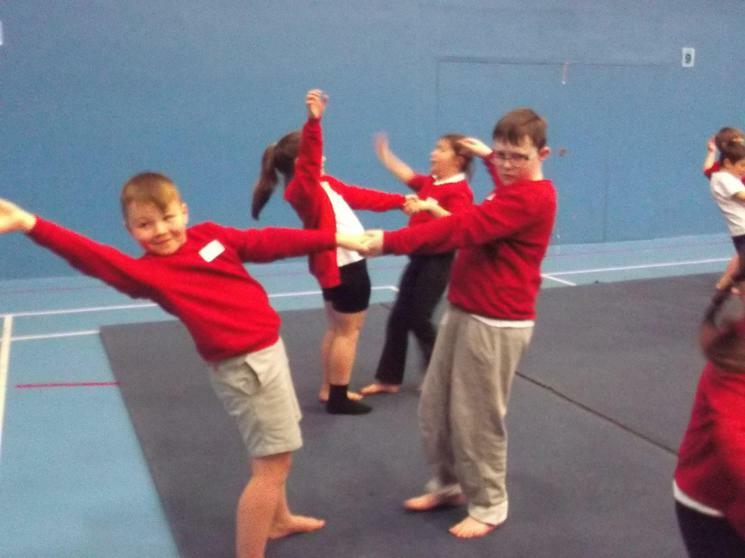 For our last dance lesson, we showed the dance to Key Stage 2. 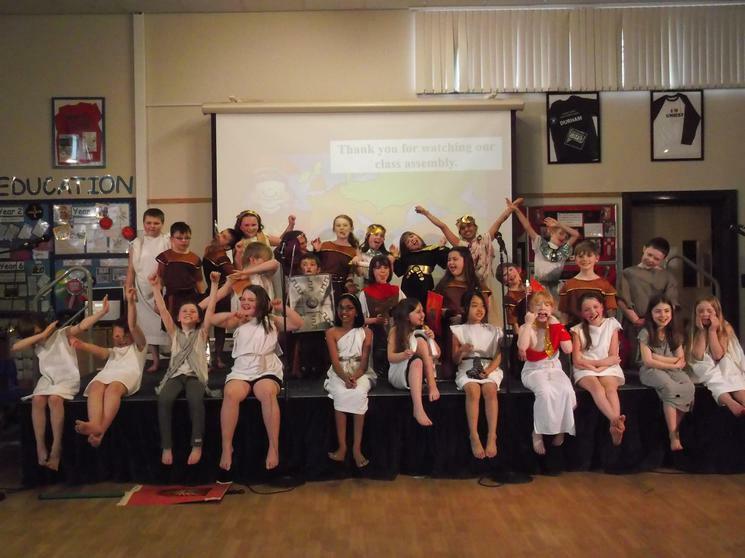 It was a fantastic dance, well done Year 4! 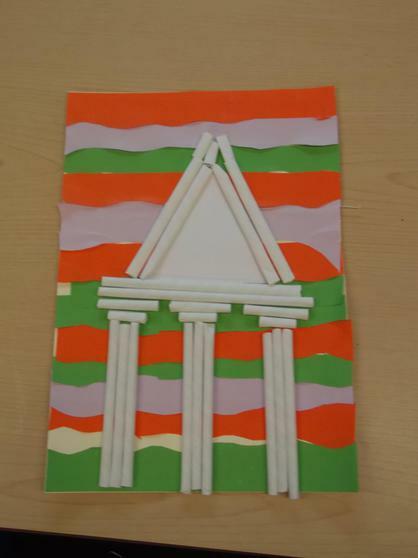 For our math lessons this week, we have been learning about capacity. 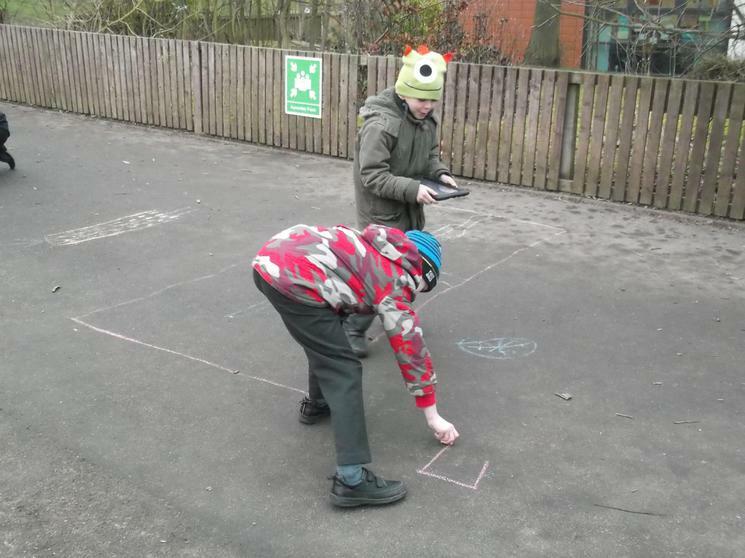 Today, we had an outdoor maths lesson where we measured out potions. 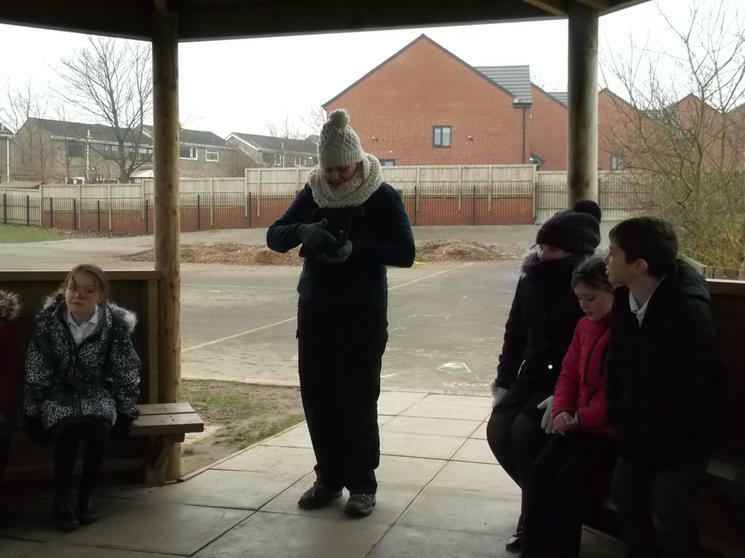 Each group had instructions in the form of a poem, and they had to make their potions. 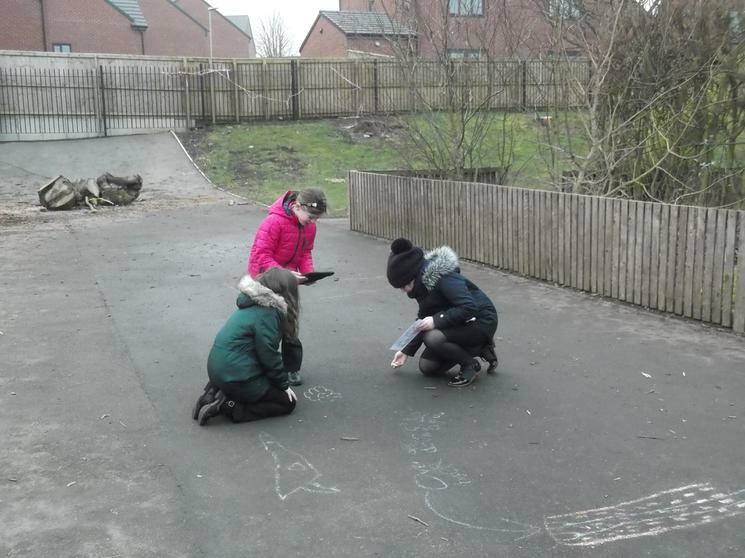 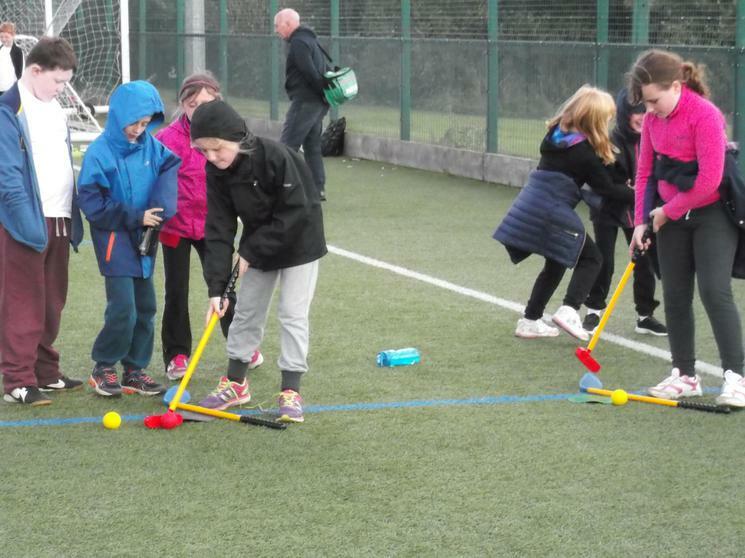 we had great fun and learnt about measuring capacity at the same time. 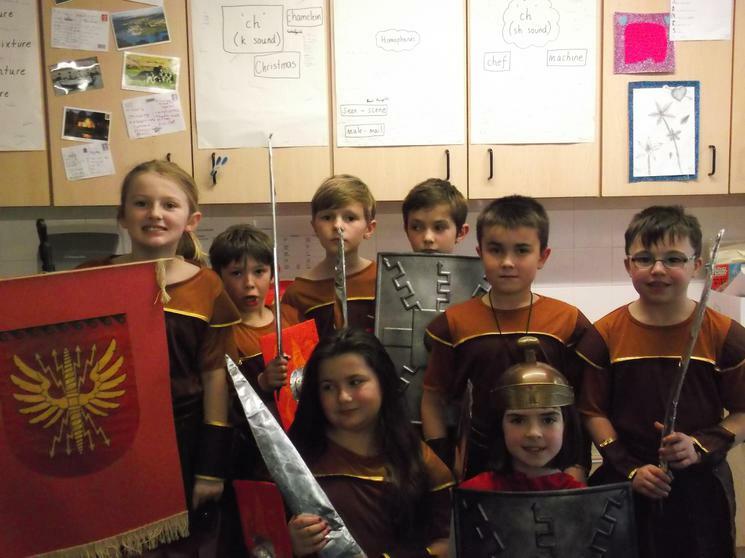 This term we are going to be travelling back to Roman Britain and finding out why Britain was invaded and settled by the Romans and what effects this had on the future of Britain. 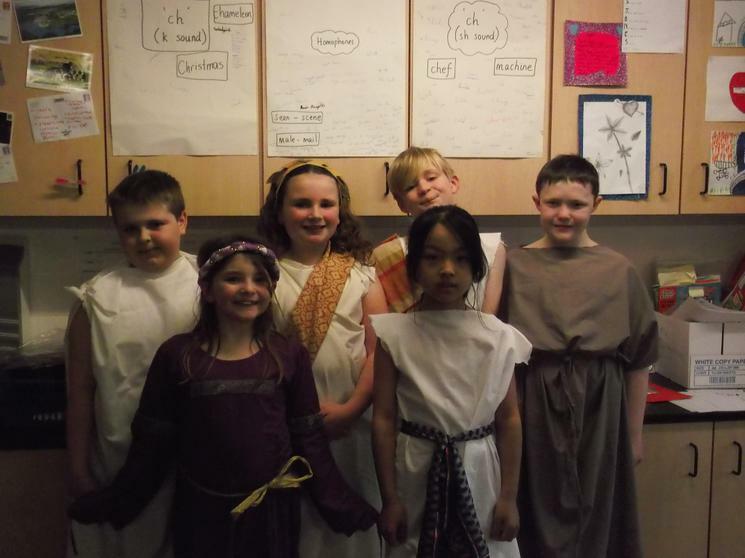 We will learn about the rise of the Roman Empire in Britain, opposition from the Celts, the legacy that was left behind when they went home, and much more. 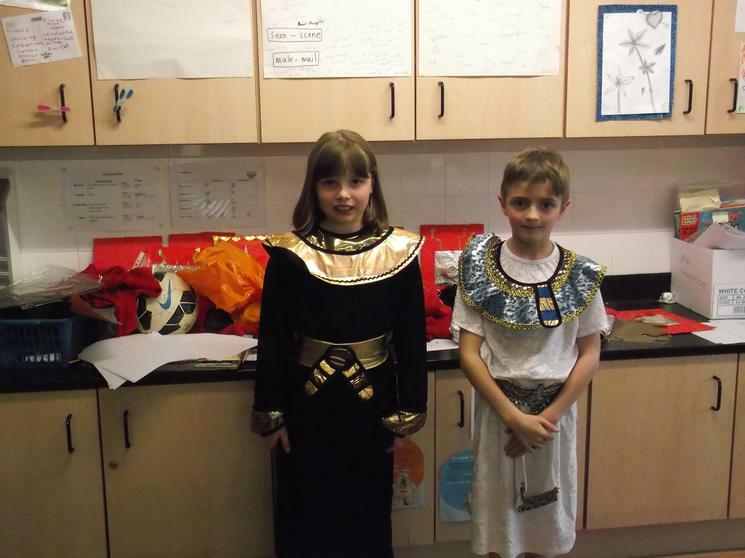 In Science we will be investigating changing sounds and circuits and conductors. 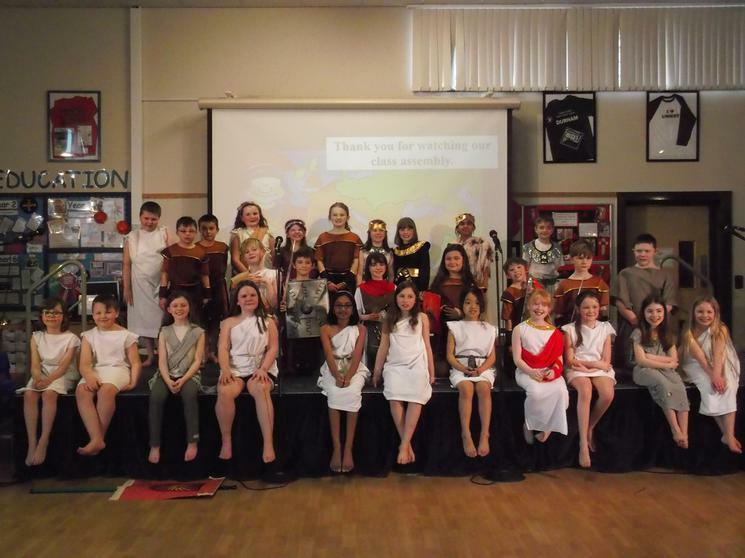 In our class assembly on Friday 17th March 2017 about the Romans we took our audience back in time to witness Roman roads under construction and a century of marching soldiers. 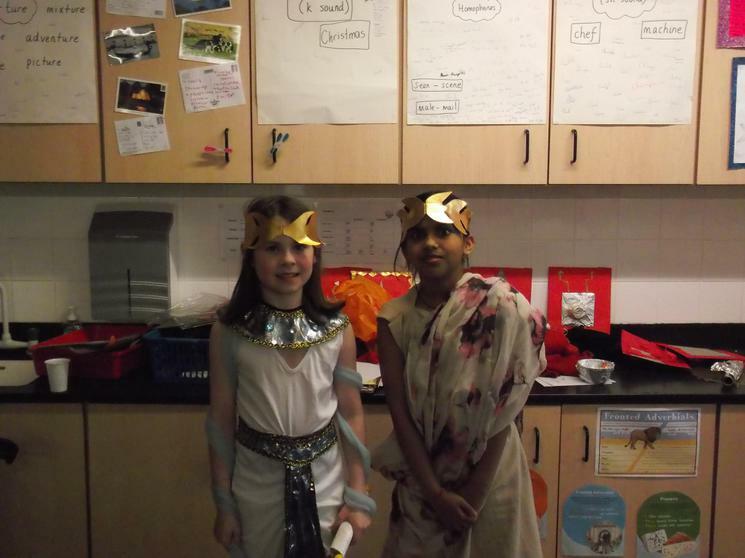 We also transported them to a grand villa full of wealthy Romans preparing for a visit from the Emperor Claudius with his elephant and his wife! 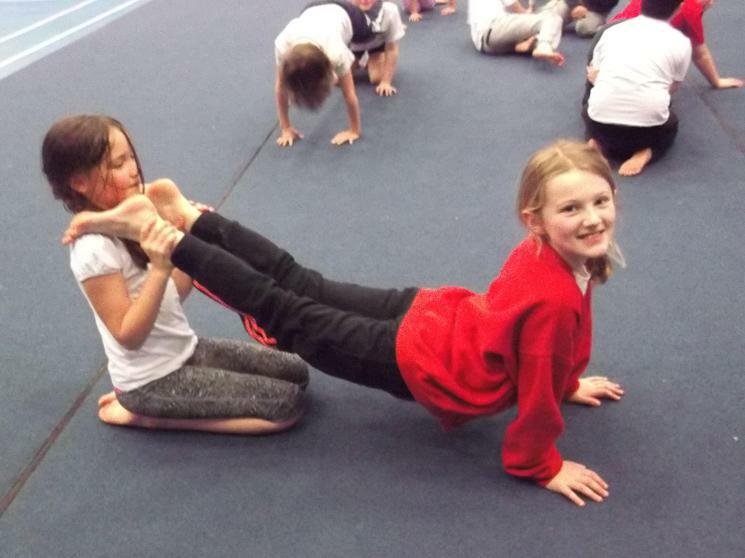 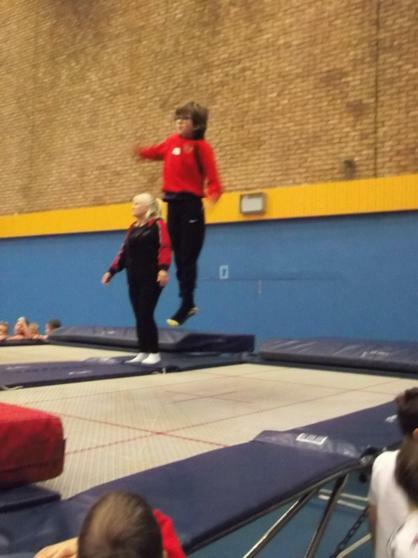 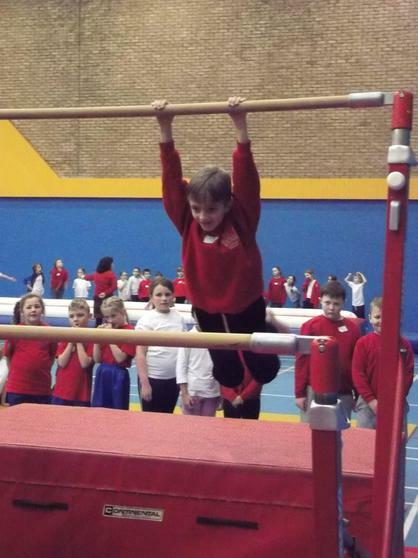 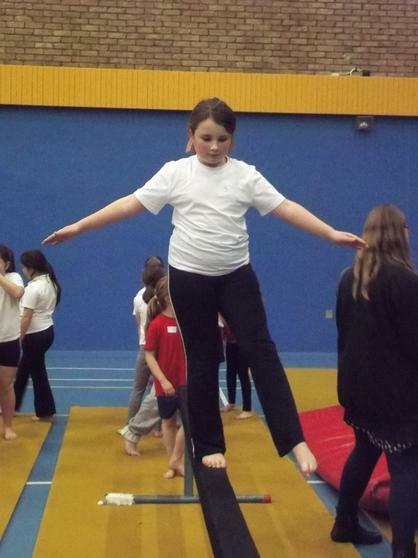 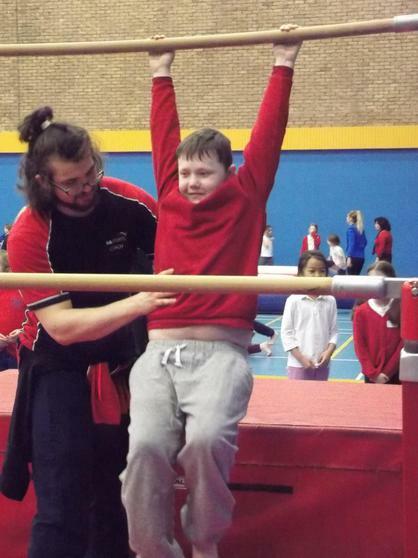 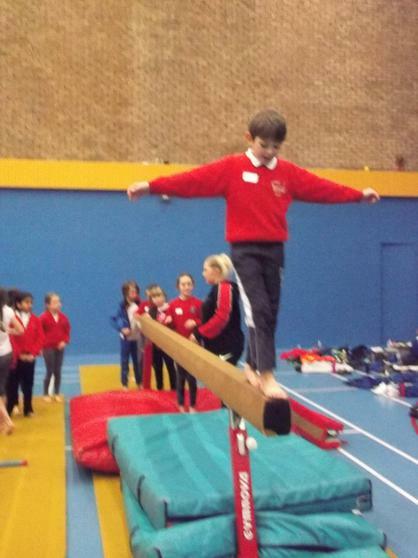 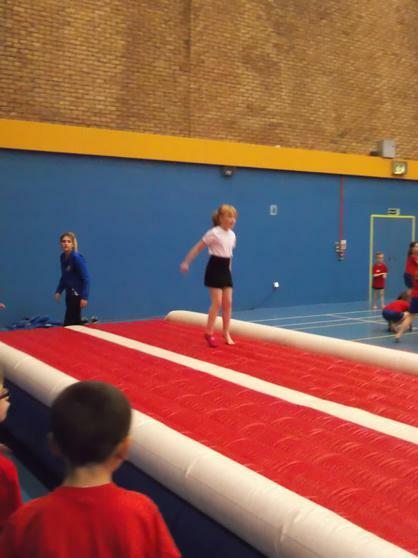 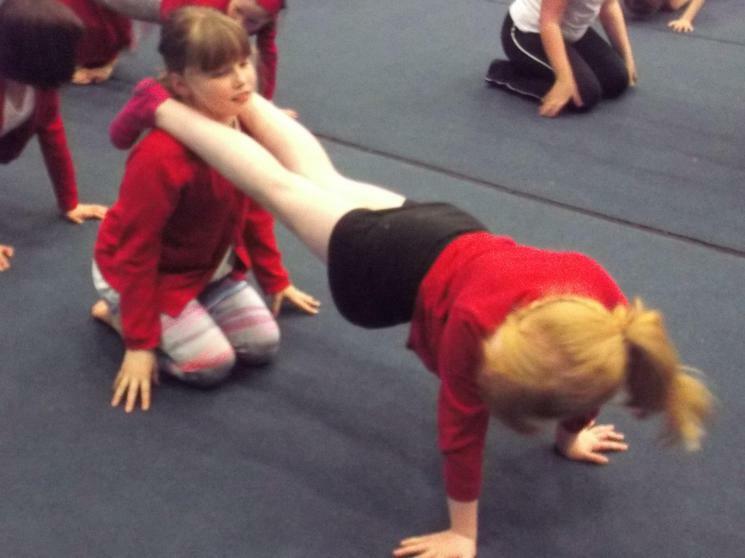 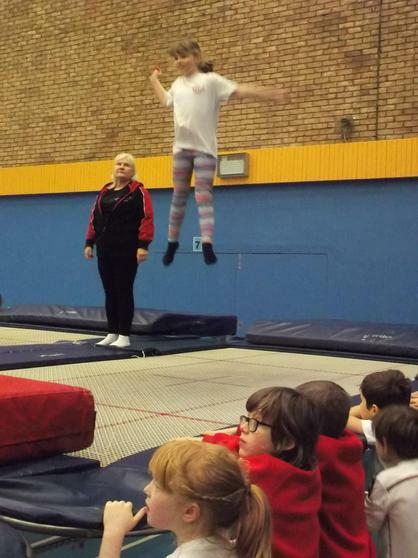 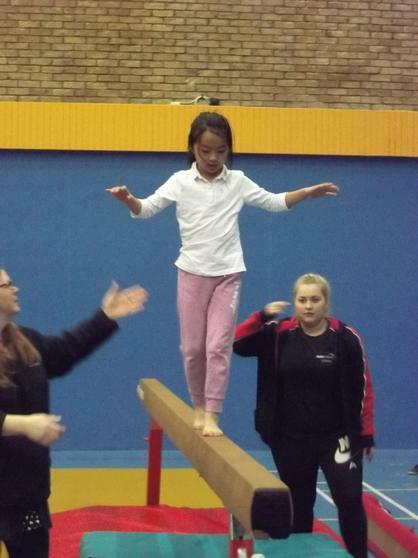 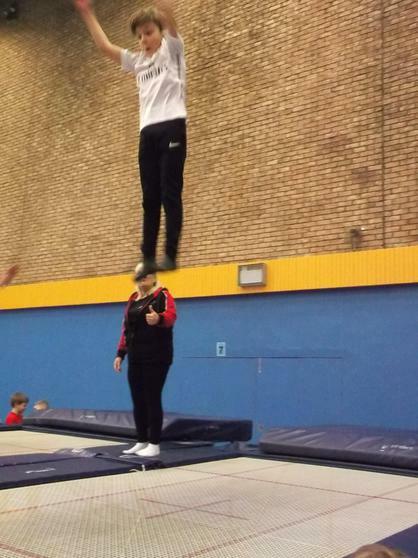 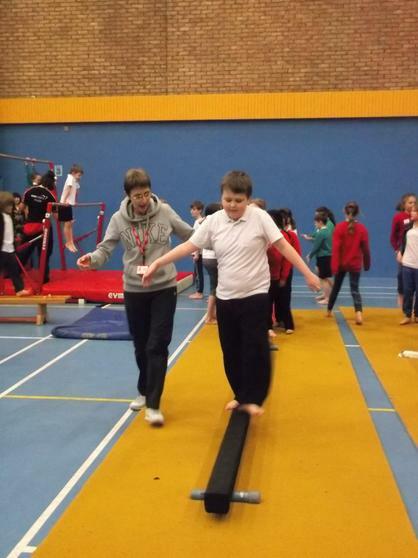 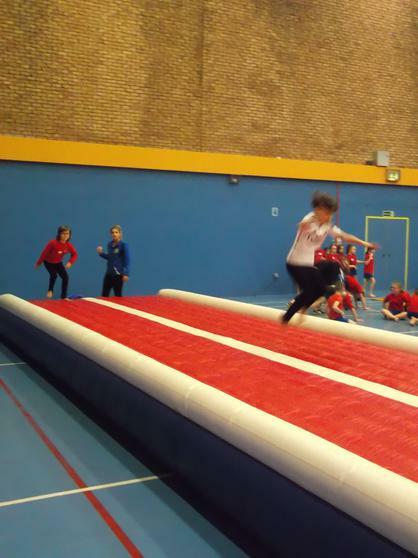 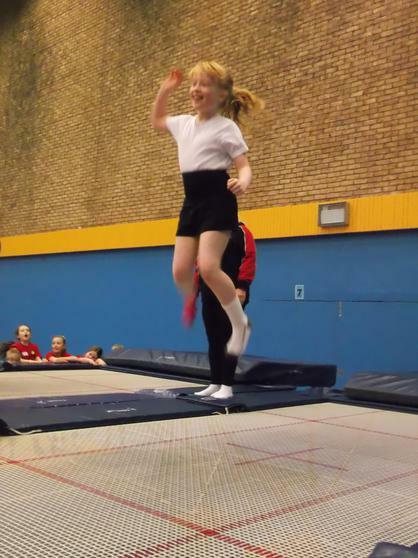 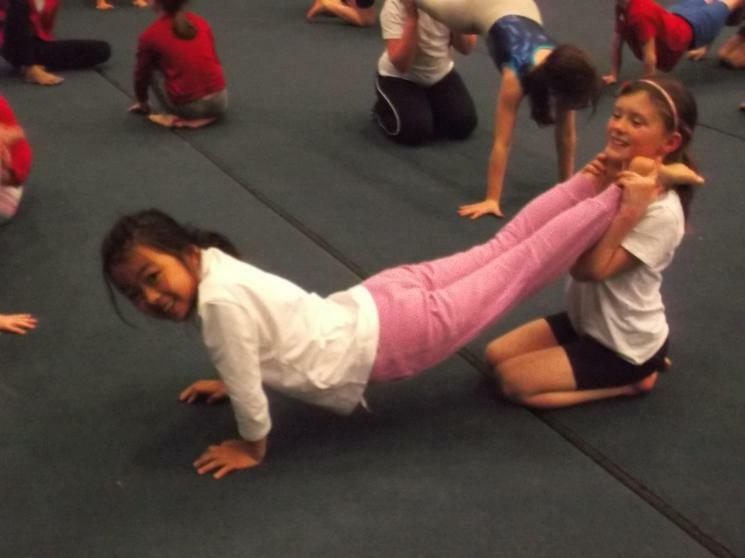 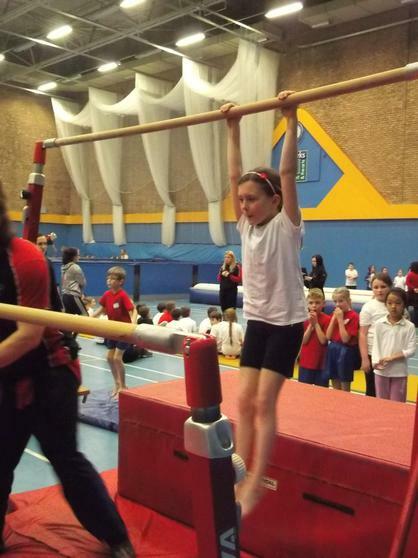 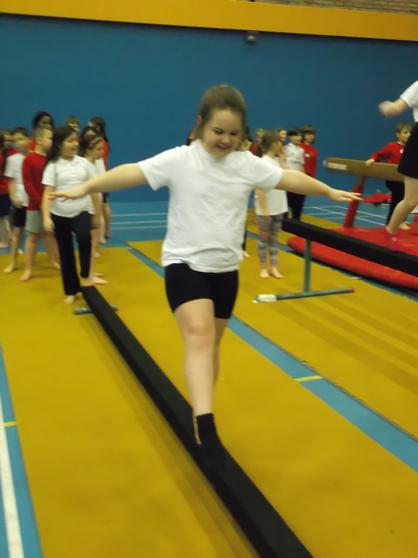 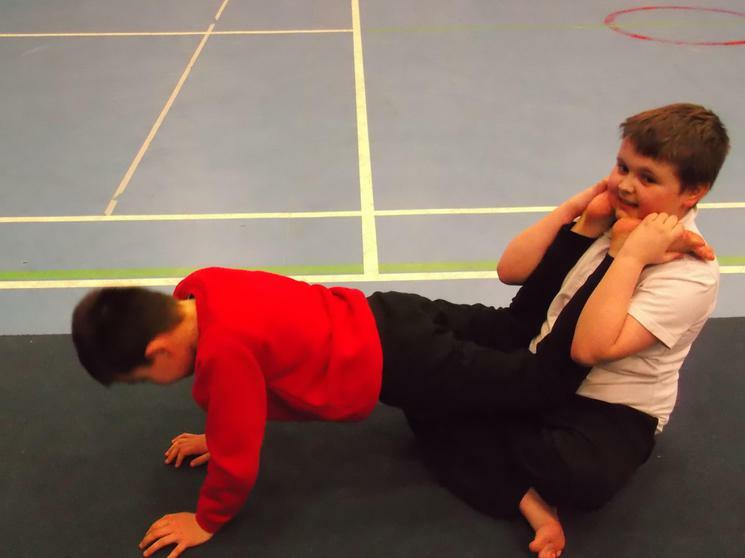 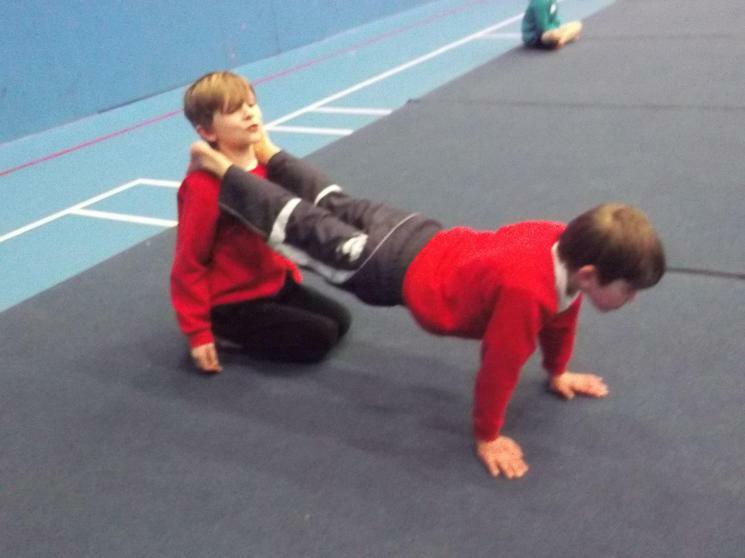 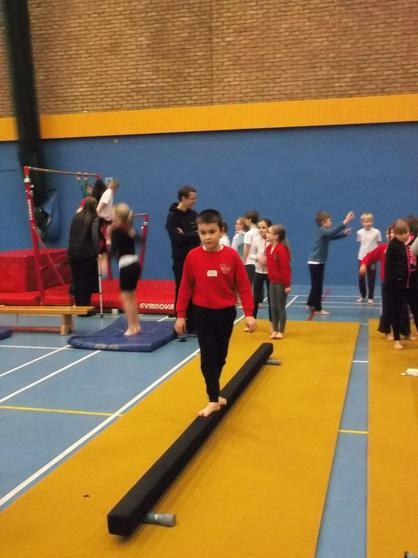 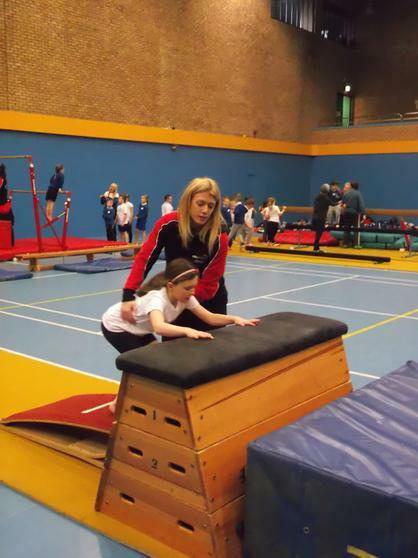 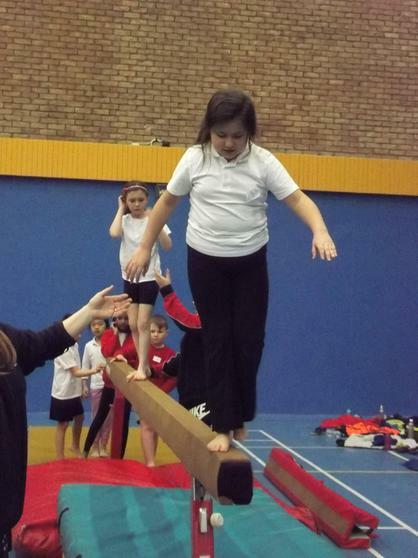 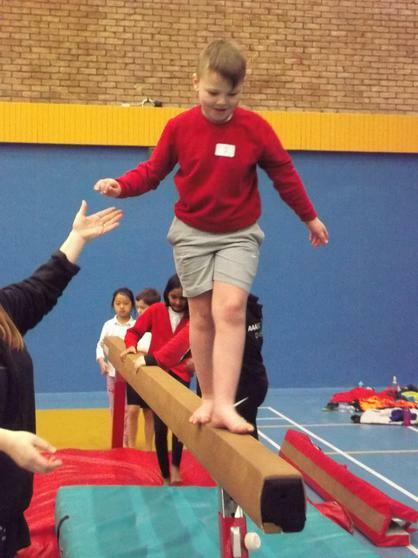 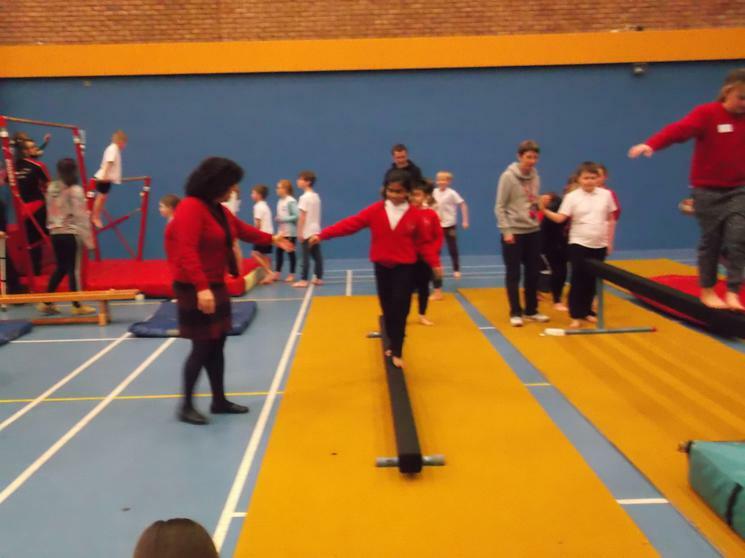 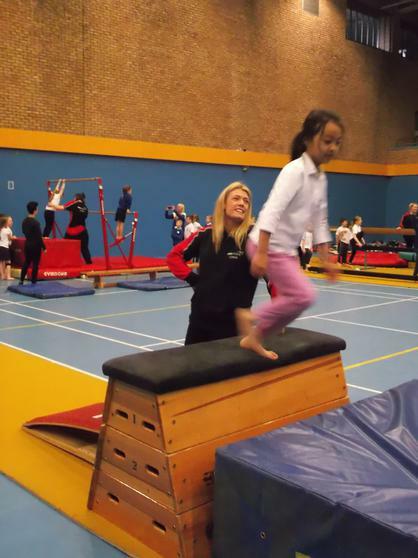 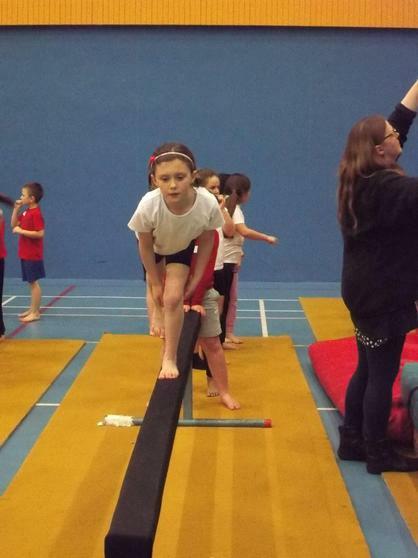 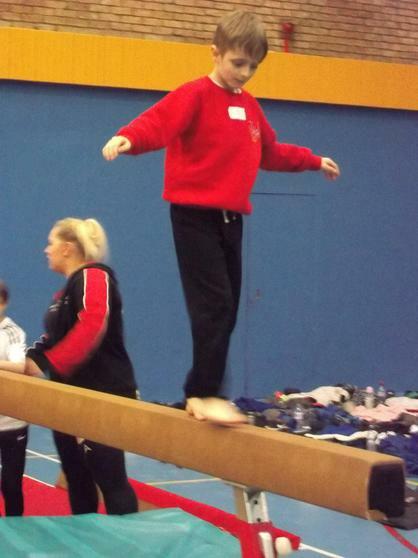 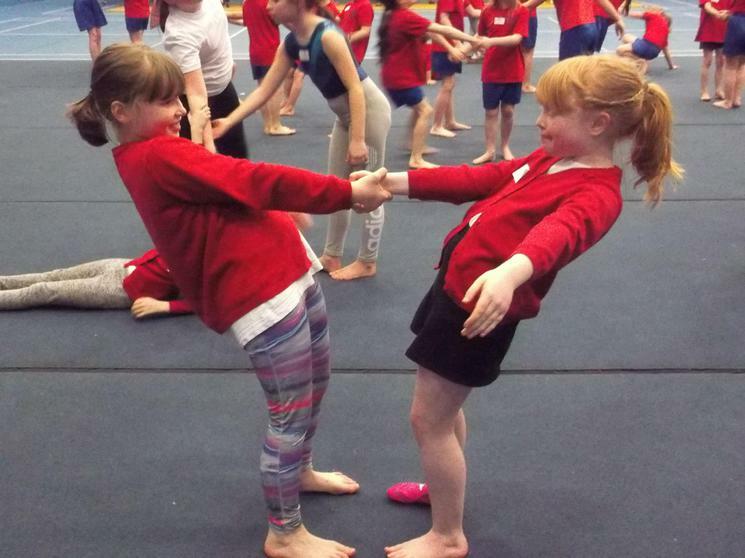 Year 4 had a great time at a Gymnastics event trampolining, using the bars, walking along beams and jumping on an inflatable track. 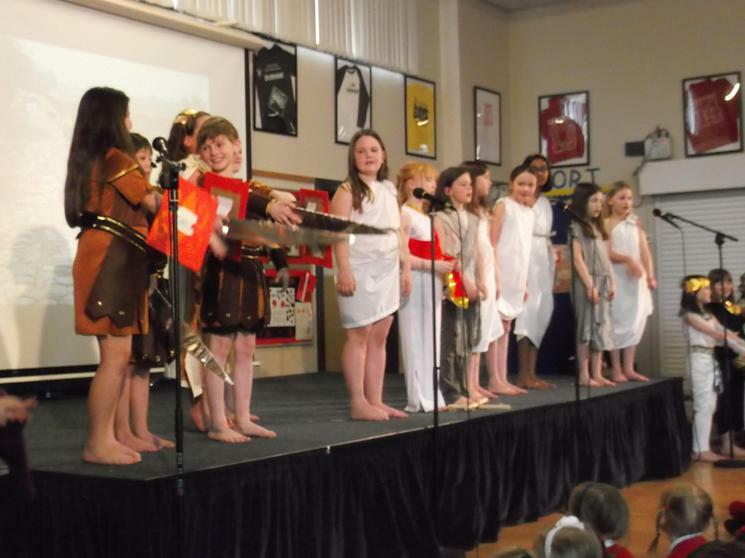 The whole school enjoying a musical production of 'Peter and the Wolf'. 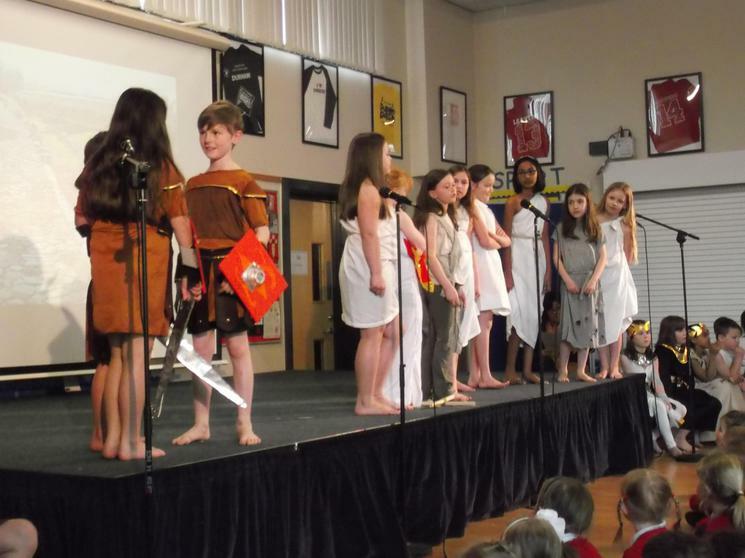 Using Excel to create a spreadsheet and corresponding bar graphs relating to the average temperature and precipitation in Rome over a year. 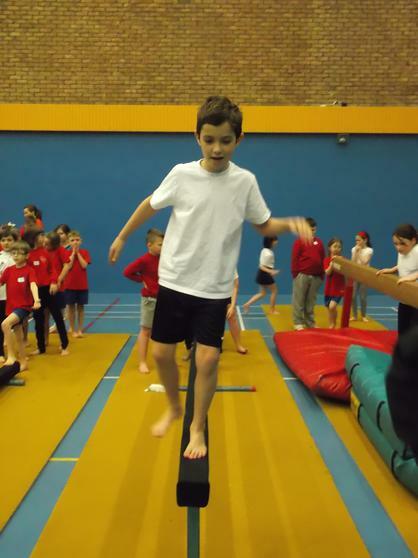 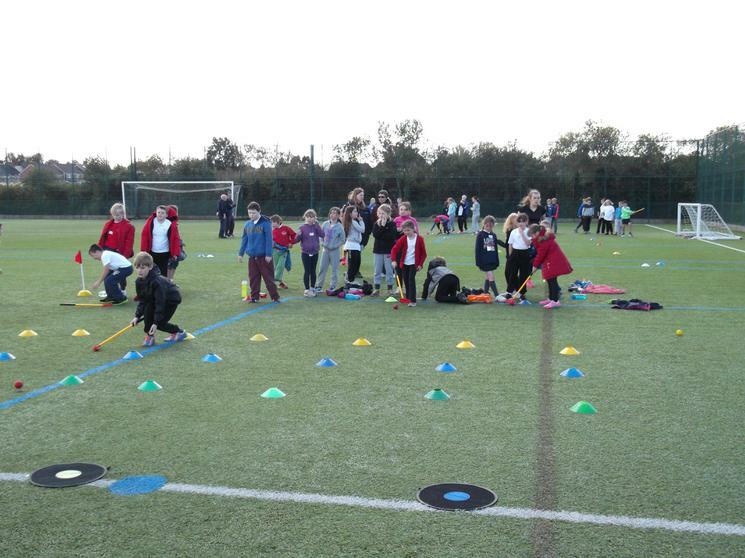 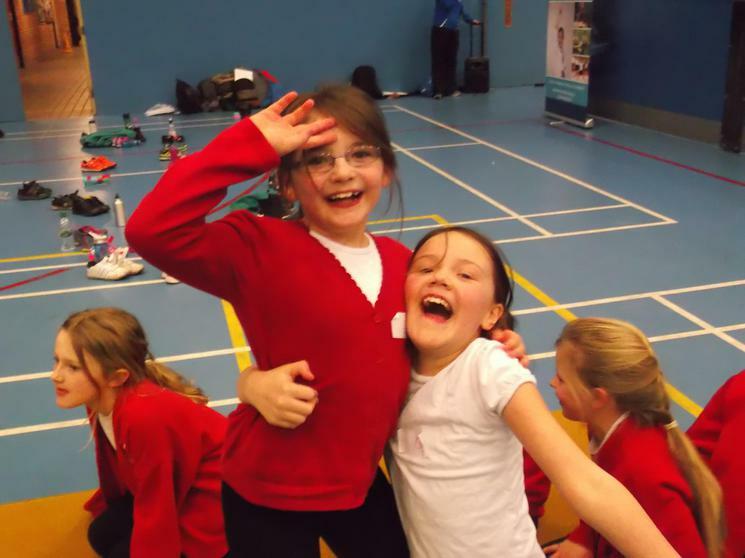 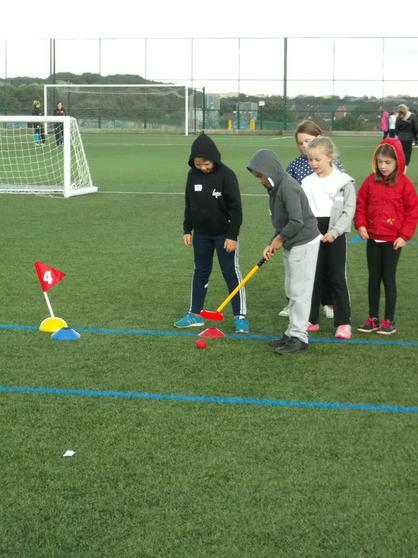 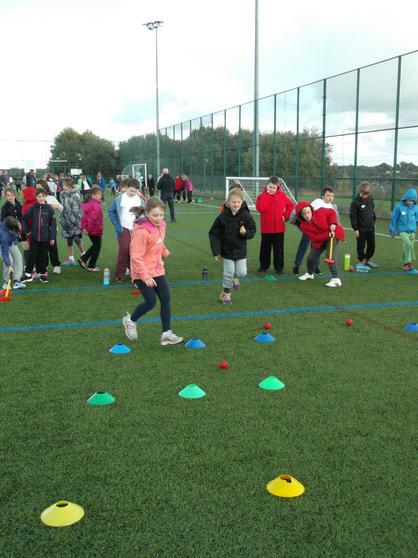 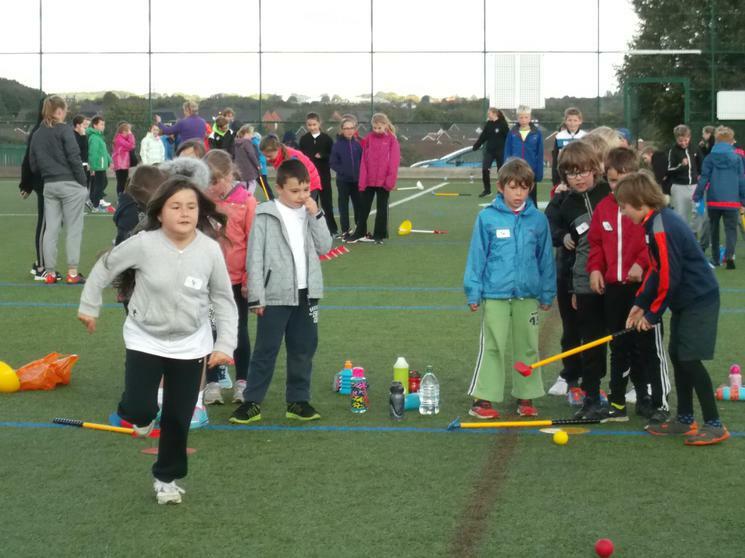 A huge well done to Year 4 for winning the Sports Hall Athletics Event on Friday! 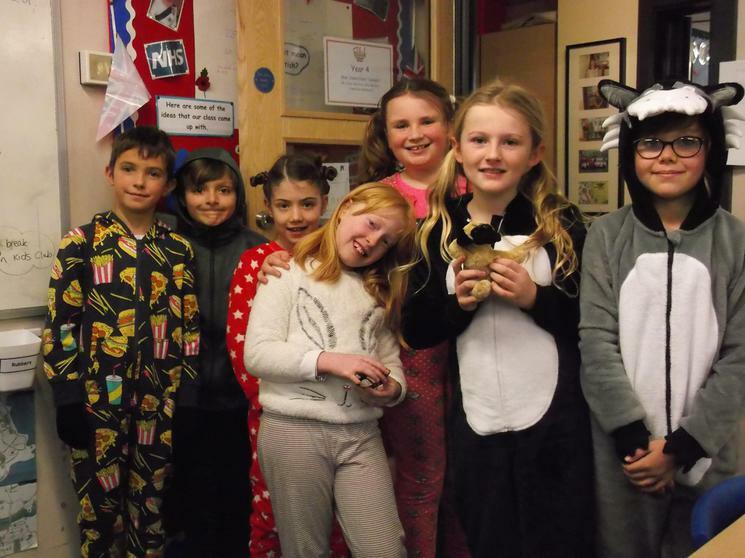 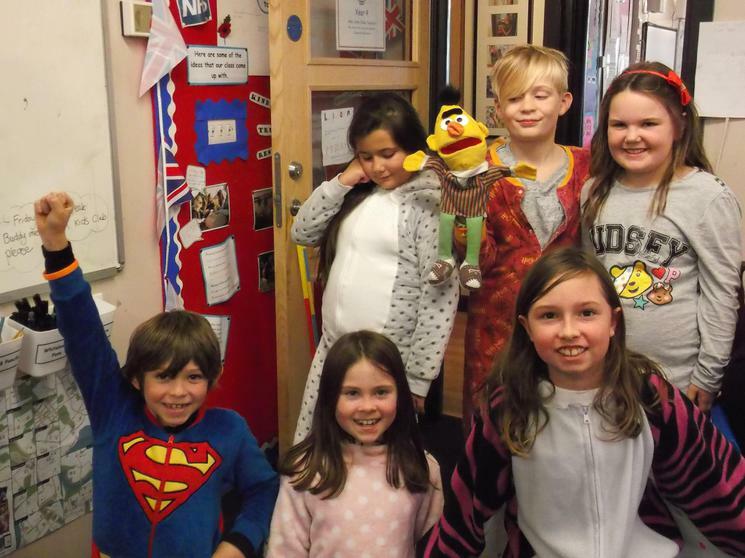 Thank you so much for the lovely cards and presents, Year 4. 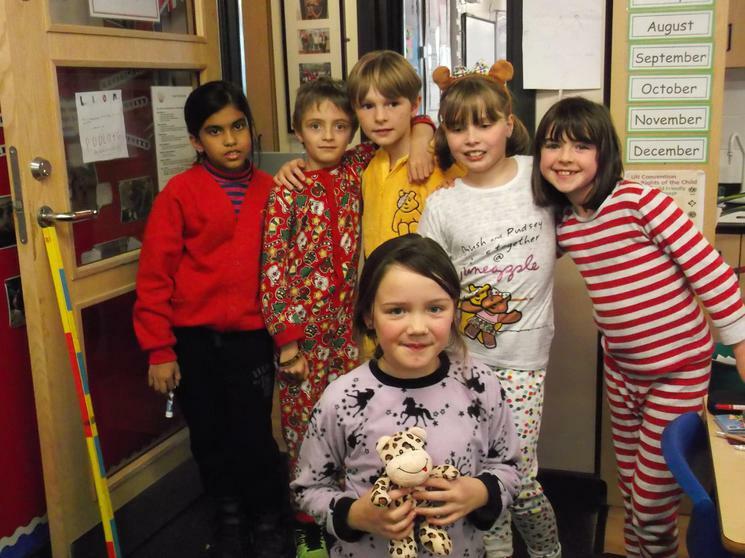 I hope you have a very Merry Christmas and a Happy New Year! 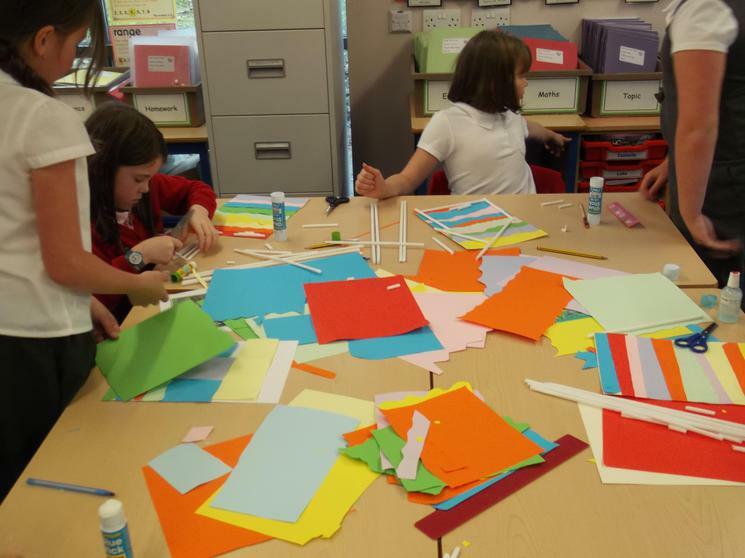 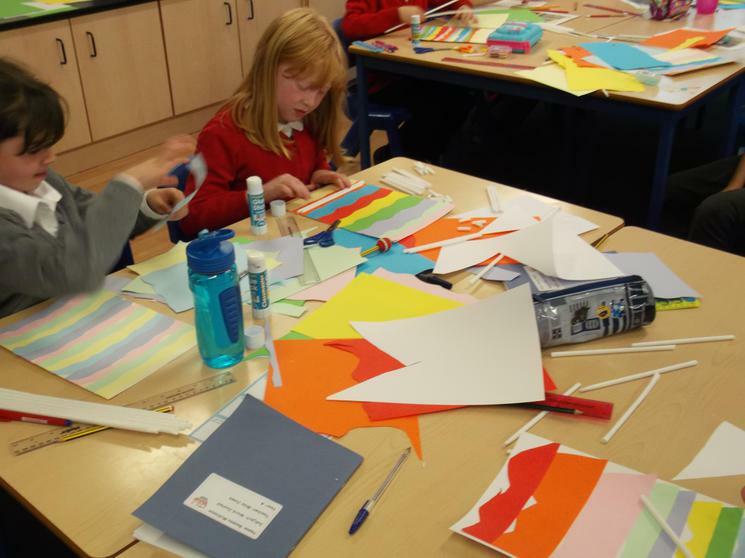 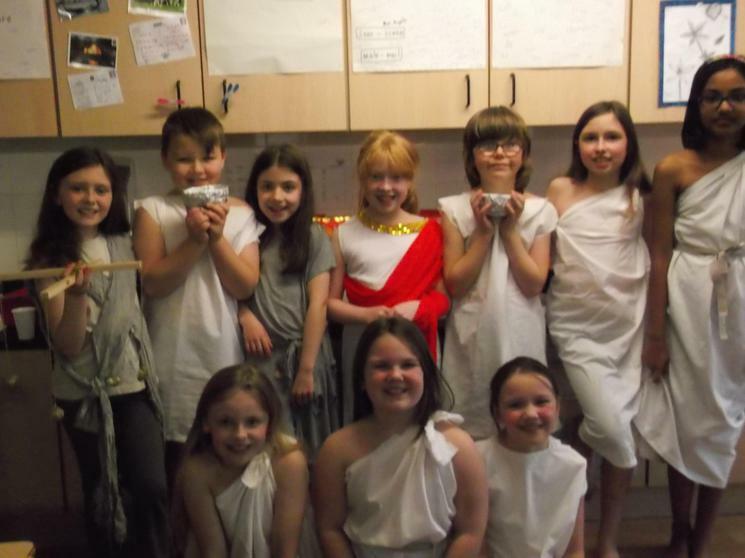 This term we are going to be learning all about the Ancient Greeks, finding out about their everyday life, beliefs and the impact this ancient civilization had on the modern world. 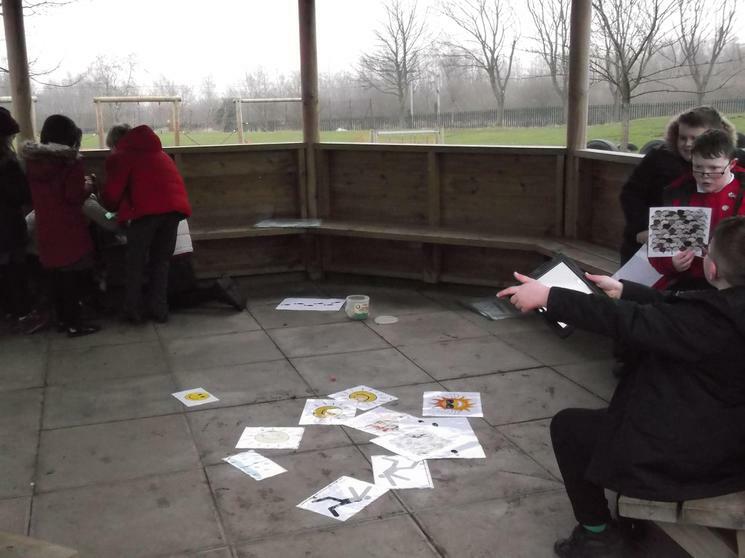 In Science, we shall be finding out about eating and digestion as well as investigating the three states of matter. 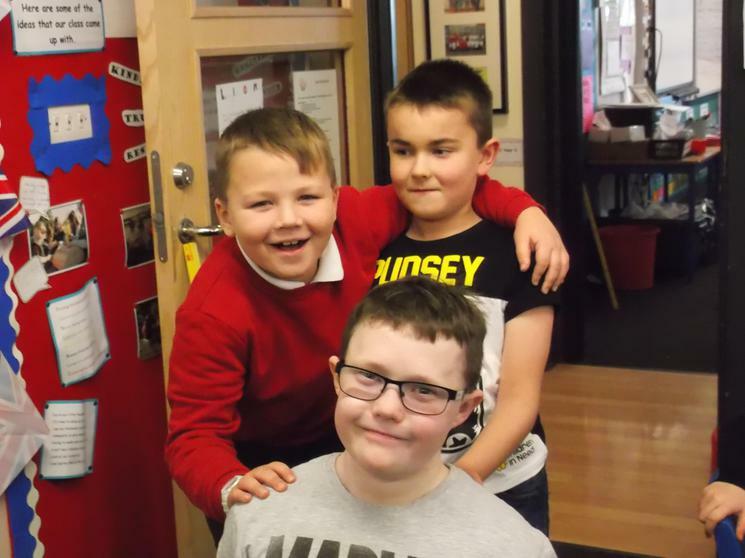 Celebrating 'European Day of Languages' with Mrs Hamill.